Who would've thought that a city that's been doing the "bicycle as transportation" thing longer and definitely bigger than any city in the U.S. would choose now to come out with a urban cycling magazine; especially with cars taking off as they are there. This is a new China, still Communist, but with where many urbanites have money to spend and the youth have time to develop a love for riding. Also there are so many expats from Europe and America living there who want to show off the culture they've discovered there and share their Western culture as well. 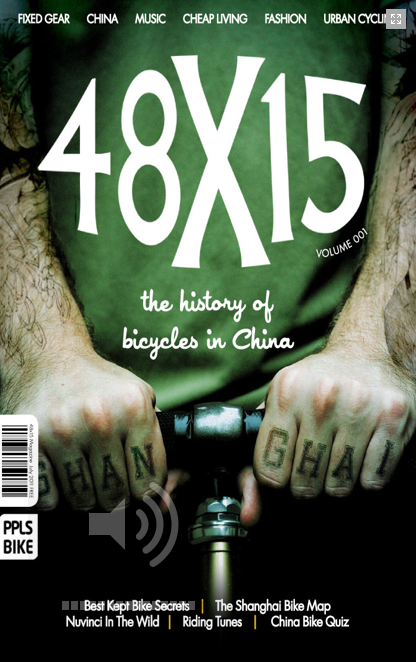 Enter the People's Bike website and their new print/web zine 48x15, the creations of expat Canadian Tyler Bowa. Check it out not just to look at our new "70's boring" handlebar ad, but to see what beer in China doesn't taste like it came from the Yellow River. Besides the articles on the history of bikes in China and the NuVinci Hub thrash test, I was kind of drawn to this ad for a bamboo pedicab designed by a MGT Engineering. It's got a sleek bamboo cockpit and a TIG-welded 304 stainless steel frame. It is only about a meter wide, so it is legal on bike paths. Looks like a lot of fun to ride. And one can see it adaptable to being a cargo bike, one you can ride comfortably in the rain no less. Here's a video. 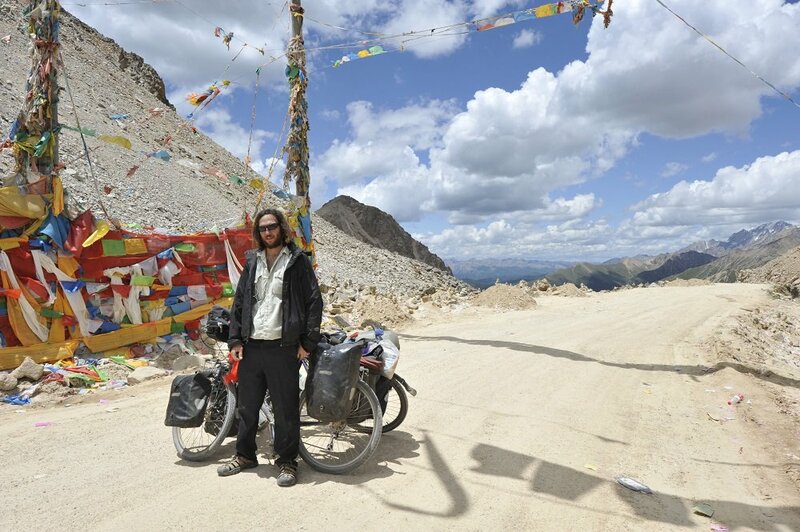 What are the chances of two Soma Saga owners meeting each other on their own solo tours on a remote road on the Sichuan(China)-Tibet border??? The world is a huge place. We've made less than 999 Sagas in total I believe. I'd say it's pretty darn impossible. Our favorite American expat in China, Eleanor Moseman is in the middle of a 10,000k trek though Mongolia, Russia and China. While in Litang in Southern China, she heard someone behind her speaking good English "You have my bike!" She reported on her Facebook page she ran into someone riding another Soma Saga bicycle. We didn't know who the gentleman was until a few weeks later. While they were riding in Sichuan many homes were still running on generators after the devastating earthquake a few years back. So instead of imposing on folks to juice up her laptop and phone, she opted to lose contact her friends for about 10 days. This concerned her boyfriend so much that he contacted us to see if we knew who she might have ran into. Of course we had no idea. We find out later that the guy on the other Saga was Brandon, who is from SF and had purchased from Pedal Revolution the original Saga prototype . OMG, right? The last (and first) time we had heard from him was in October when he sent us a photo from Guatemala. 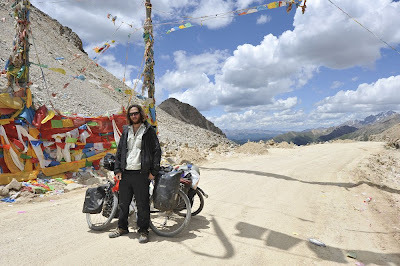 The two are both making their way to Kashgar in the Xinjiang province way out in the western-most part of China. For you movie buffs, Kashgar was where the Kite Runner was filmed. Eleanor is doing this ride for fun but also for charity. Learn more about what she is riding for here. Maybe we are just tired of making townie bars and track bars. 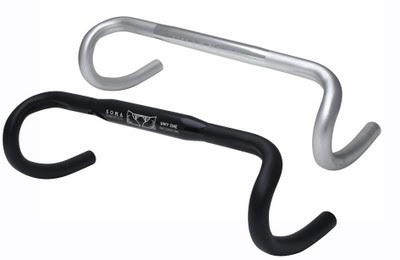 Maybe we just wanted to make the ideal bar our road frame customers, who for the most part aren't racers. Whatever the reason, we've gone and made our first road drop bar. The Hwy One has got a compact bend that's come into popularity in recent years. The shallow drop makes it more natural-feeling to ride in the drops. 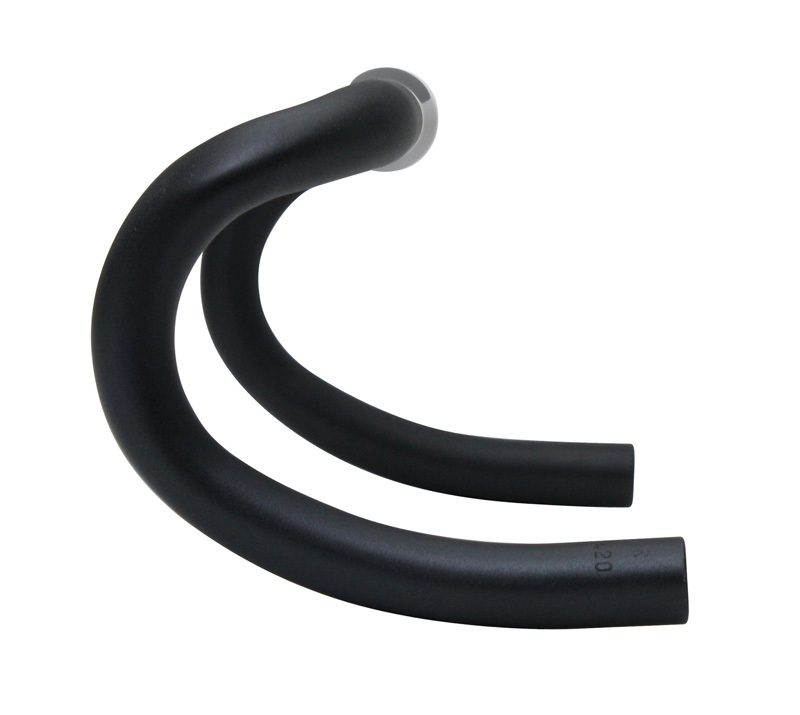 The bend keeps the aero levers in easy reach when compared to conventional road race bars. We think it's a great bar for those who are new to drop bars and who prefer to ride a little less aero or have smaller hands. We are making them in black or silver. The sections to be covered with tape have a shotpeen finish, while the exposed section is shiny. 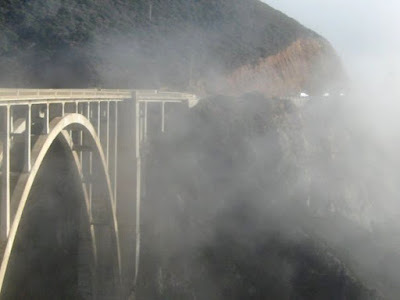 The center graphic that doubles as a centering marker is of the Bixby Bridge in Big Sur, which California's Hwy 1 runs through. Comes in 31.8mm or 26.0mm. Single groove in front. 6061 butted aluminum. Retailing around $40. One of my friends in Japan forwarded this video of Mini Love, a mini-velo and folding bike festival that happened this past June. For those who keep asking "what niche does it fill" or "why do I need one" a look at this video will show that the people of Japan are long past asking questions like that of the mini velo. It is embraced as part of bikedom. Young people love them... especially women. They see it as a blend of kawaii('cute' in Japanese) and practicality, and marketers are using them in their shop displays much like you see cruisers or track bikes in Old Navy. 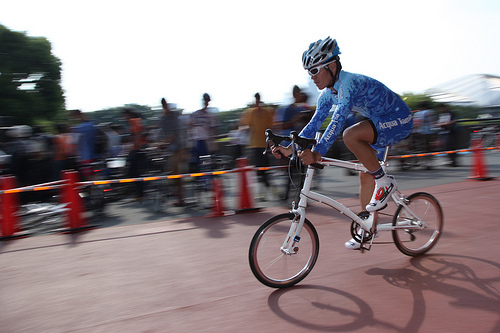 The event was put on by KHS Bikes Japan and Dahon. It featured races (Spandex and mini velos can mix), gold sprints, folding contests, and numerous vendors on hand showing their wares. Tasty mixte mini with front rack!